The Leyland Olympian was the offspring of the Leyland Titan and the Bristol VR, with much to owe to both parents. From the Titan came much of the style, including almost the entire top deck, and aluminium bodywork. Downstairs the VR brought more influence, with low-floor technology that lowered the bus overall. The power was provided by a Gardner or Leyland TL11 engine and Hydracyclic drive-train. This all produced a very saleable bus to follow the VR all around the country, with the ECW bodywork label providing some kind of guarantee that the body would not fall to bits too quickly. 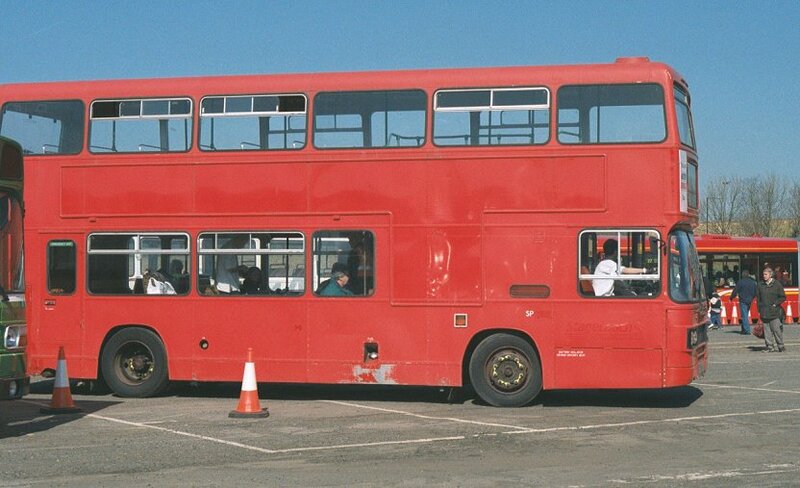 The bus was available in standard 9.6m overall length (32ft), the same as the Titan and Metrobus, and in two heights: 13ft 8in or 14ft 2in - not as low as the VR but acceptable in most places. London was not very interested, despite its hand in its design via the Titan. But 2500 doubledeckers in the shape of Titans and Metrobuses were still new. 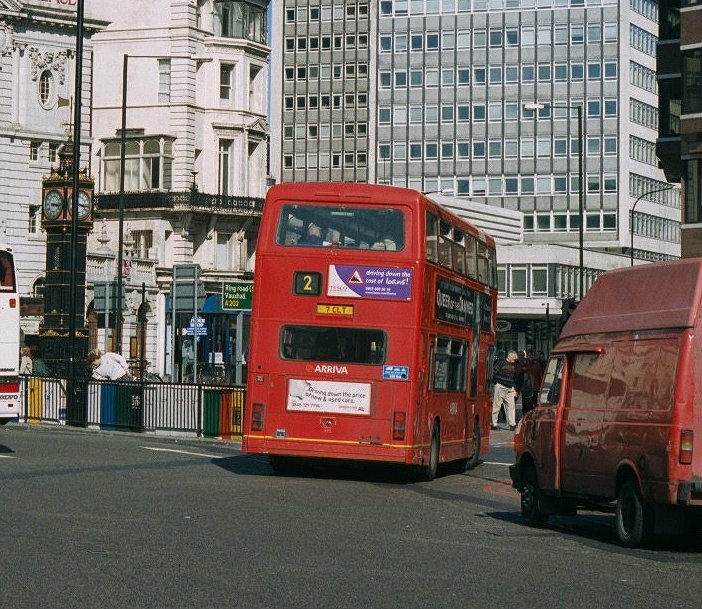 However, perhaps with a mind to avoiding the untested-bus problems of the seventies, London Buses in 1984 set up an evaluation trial to test various types of unfamiliar bus: three Olympians (L1-3), three Dennis Dominators (H1-3), three Volvo Ailsas (V1-3) and two MkII Metrobuses (M1441-2). It was two years before production Olympians began to arrive, in the shape of L4-263. These went to Selkent District (Plumstead, Sidcup, Bexleyheath) and Wandle District (Norwood and Croydon). They included a handful fitted with coach seating for private hire work. 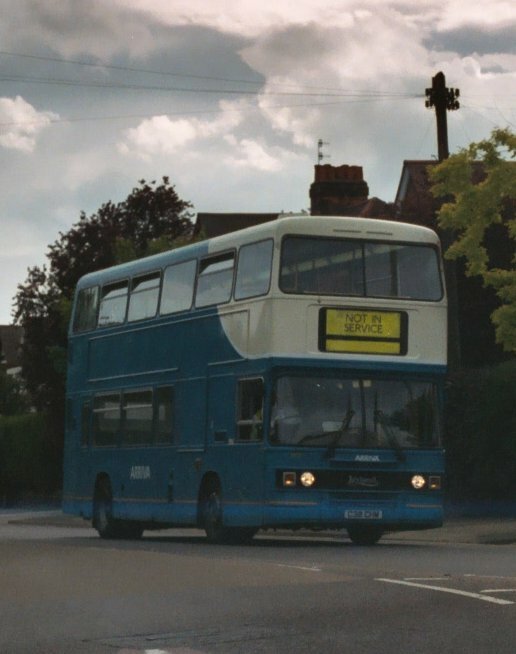 Bexleybus was set up in late 1987 with 28 Olympians (L264-291) with Northern Counties bodies, but these did not stay with London after the demise of Bexleybus. 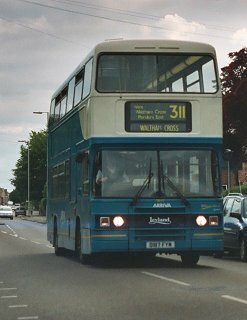 December 1989 saw the arrival of some all-Leyland Olympians (L292-314), with front entrance bodies for the Riverside route 237. A different shape was seen in 1992 with Alexander R-type bodies on L315-354. These forty buses went to Leaside District, initially at Stamford Hill. These were not the only Leyland Olympians used in the London area, but the others will be on the next pages - and after these came to Volvo Olympians, in all sorts of shapes and sizes. The Olympian was a big bus for the last decade of the twentieth century. The three Olympians for the AVE trials arrived in February 1984, and after the mandatory check-outs at Aldenham and Chiswick went to Stockwell for use on the trials routes (170 during the week, 44 on Sundays). Visually they were not much different from the Titans, at least at the front, although the front radiator grille was a giveaway. From the sides the obvious difference was the lower-deck windows, which were not much larger than those on the upper deck, not the enormous deep windows of the Titan. At the back they looked very different, with a symmetrical flush rear window like the Bristol VRT, and an all-glazed top rear emergency exit. Livery was the accountant's favorite, unadorned red, with only the legal lettering and white bullseyes to denote ownership. They stayed at Stockwell until August 1986. Then they were sent to join the production buses at Norwood, and soon moved on to Croydon where they worked alongside the other Ls until December 2000. Then, to everyone's surprise, they were bought by Connex Bus. L1 was sold to Green Light Travel at the end of 2002, but L2 and L3 were taken over with Connex by the Travel West Midlands group, as part of Travel London. They became trainers 9982 and 9983, but were pressed back into service if required by emergencies. Then in April 2008 they were pulled back into regular service for a contract service (400) between Shepperton and Staines. L1 is in preservation, with a working certificate so that it can earn its keep. Here it is on display at the London Bus Museum Open Day, Brooklands in April 2014. L2 is also in preservation. In process of restoration, it came out to play on the 424 at the East Grinstead Running Day in April 2010. 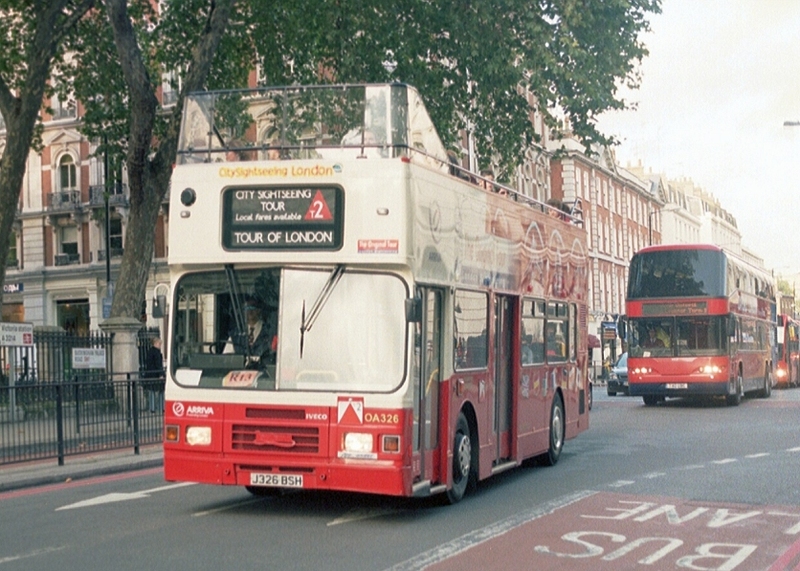 The production buses, arriving from January 1986, were more like the standard ECW product than the trials buses, but introduced some features that were to become London standards. Most obvious was the split entrance front doorway, with the front step higher. These doors were double-folding, with green-finished handrails in between. The central exit doors were single gliders, with a three-step exit. The side route indicator was at the bottom of the front nearside window. On the offside the small window had been moved aft of the stairwell, with grilles moved to suit. (I think the staircase had been moved forward). Livery on delivery was overall red, with white bullseyes. Later deliveries had advert frames fitted. 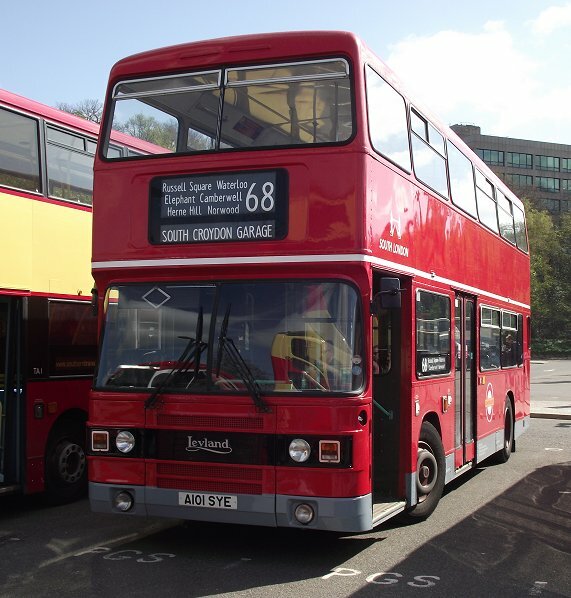 Apart from the samples extracted for Chiswick testing the new buses arrived in a steady stream and were stored at a variety of south London garages until needed. They went into service at Plumstead, Sidcup and Bexleyheath. Later New Cross had some. Wandle District also took some, at Norwood, Croydon and Streatham. Clapham, before it closed, had some briefly, which moved on to Streatham. Amongst the buses were ten with coach seating for use on Norwood's X68, Plumstead's 177 Express and private hire work at Camberwell. 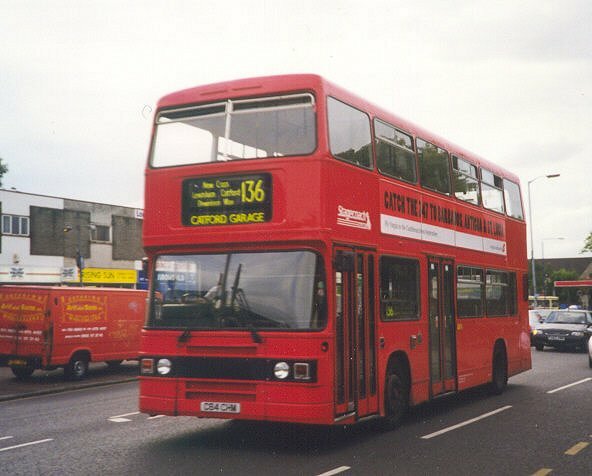 L166-171, at Norwood, were delivered in standard bus red, but Selkent's L260-264 had a broad white band between the decks. This was adorned with Selkent Travel in blue. Selkent's Expresses were fitted with high speed differential gears during 1987. 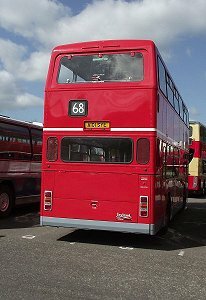 L263, the last bus bodied at ECW Lowestoft, received special treatment as the last, and had the names of its builders written on the inner body panels for posterity. It became Plumstead garage's showbus too, and was kept in immaculate condition for rallies, even sporting Atlantean nut covers. As liveries changed it acquired a grey skirt and LBL open roundels, as did the others. 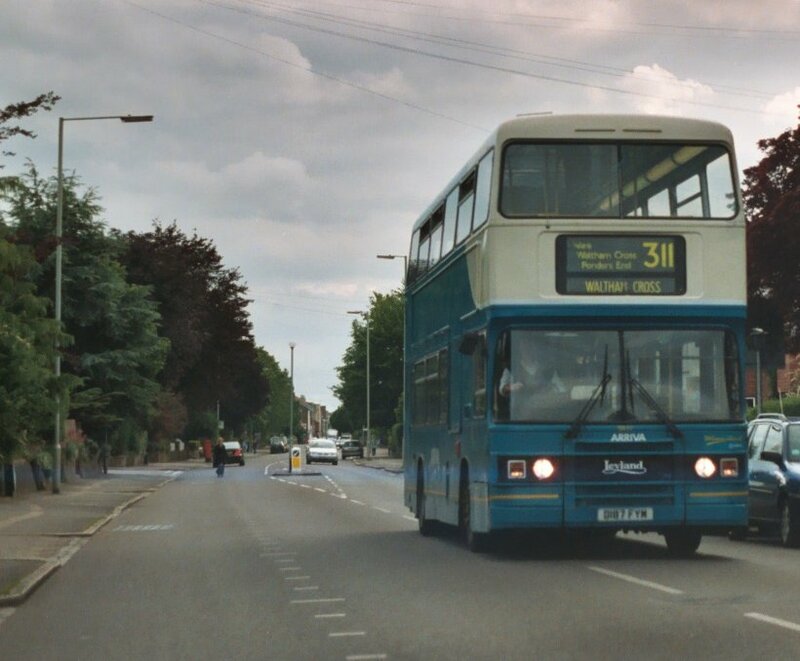 L260, L262 and L264 were acquired by Stagecoach Selkent on privatisation in 1994, and were sold with the other Selkent Olympians to Ensign Bus, and moved on to new careers as buses with LMS, Aintree and Blackburn Transport. 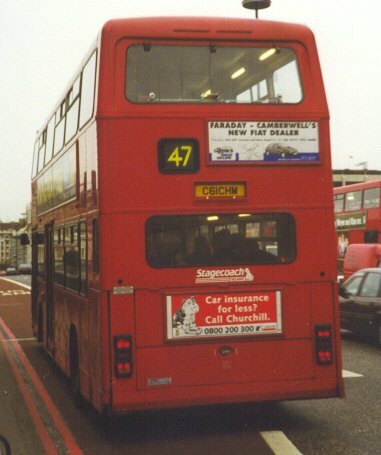 L261, the Camberwell private hire coach, acquired London Central Travel livery before privatisation, and subsequently moved on to Holmeswood Coaches, Rufford. The Norwood expresses, L166-171, remained at Norwood through privatisation to South London, and on into Arriva days. Gradually they lost their special status, although all received refurbishment for further duties. L55 has been acquired for preservation. 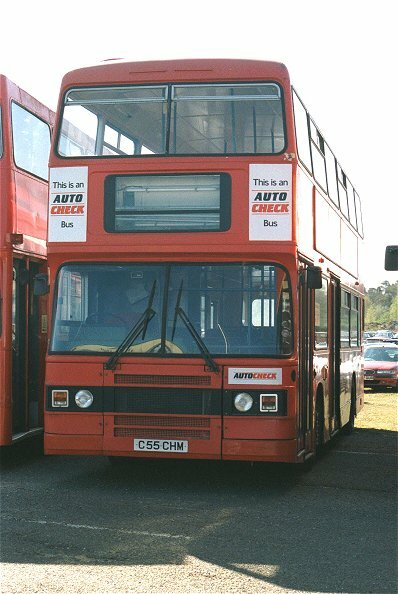 In early days of restoration to original livery, L55 sports Autocheck posters, but not yet blinds, at Cobham Open Day in April 2002. 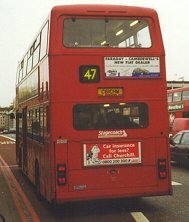 The Selkent buses were badly affected by the Bexleybus saga. Not only did Bexleybus not use them, but Sidcup closed and Plumstead lost a great deal of work. Many of the Selkent allocation were transferred to Thornton Heath and Croydon. 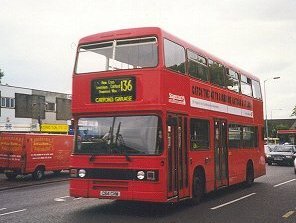 Catford acquired an allocation, which it used alongside its Titans on routes like the 47 and 136. 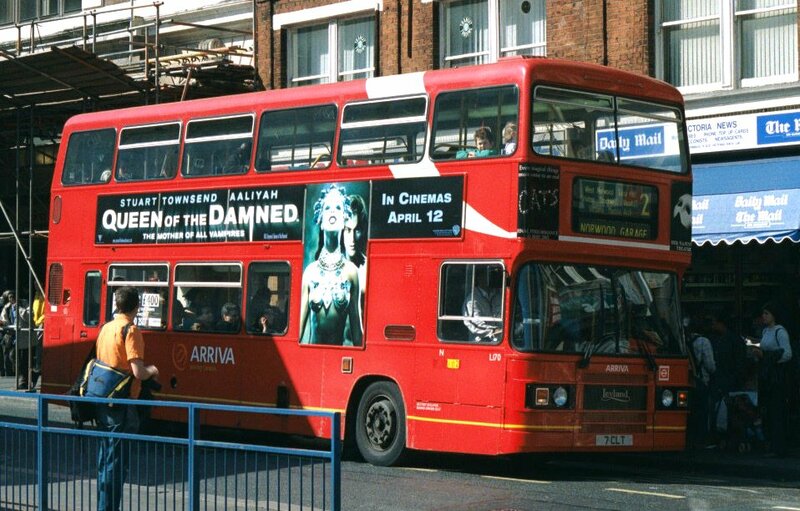 Catford and Plumstead continued with Olympians through privatisation by Stagecoach in 1994, and used them until the wholesale change to low-floor Tridents in 2000. Then they were dispersed, a few to Stagecoach East Kent at Thanet, some to Midland Red South, and many to Ensign Bus for resale. Of those a large bunch went to the Isle of Man, and others to Phoenix Student Travel in Chelmsford, Blackburn Transport, and Truronian. Catford Garage used Olympians turn and turn about with Titans. L61 is seen on a murky December day in 1998 on London Bridge as a 47, while L84 is setting off on a 136 from Grove Park on a grey day in August 1998. The Wandle District buses settled at Norwood, Croydon and Thornton Heath. Clapham and Streatham had them for a while before closure. At privatisation they were taken on by the Cowie Group in the shape of South London, and remained a central plank in their operations. Yellow "Cowie stripes" appeared on the rear ends of some of them. 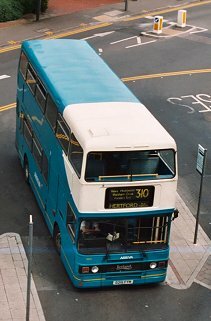 Arriva gradually replaced the Cowie stripes with the London version of their livery, with a white "cow-horn" curving up from the white front stripe - an effect largely lost under advertising. They gained an orangey-yellow cheat-line too, plus Arriva logos. 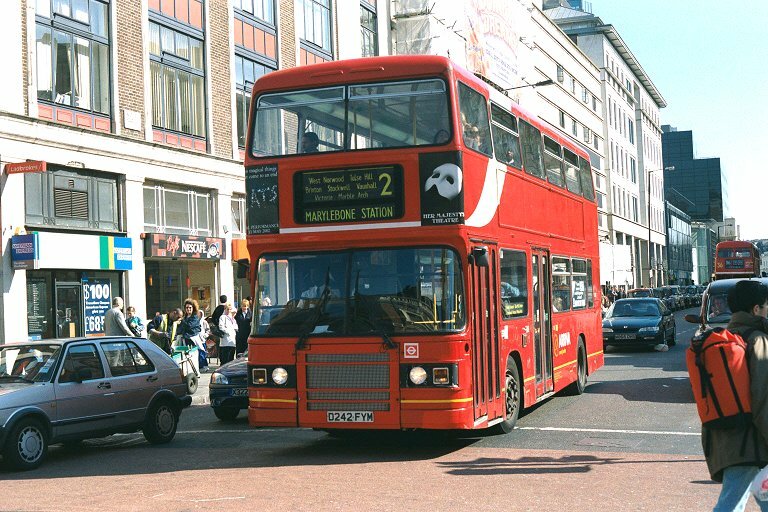 Refurbished L107 from Norwood on a normal route 2 working at Victoria Station on 1st June 2002. 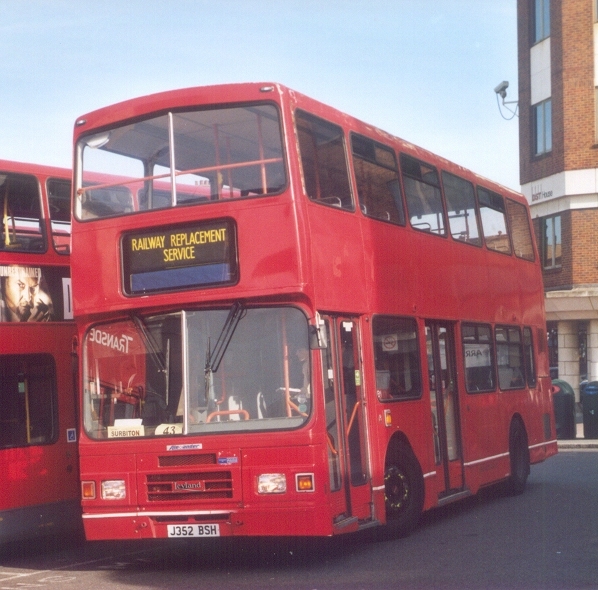 2001 saw some of the South London Olympians on the move to new pastures: Brixton and Beddington Farm gained allocations as low-floor buses displaced other double-deckers. But the pressure for low-floor buses on new TfL contracts was inexorable. The Brixton allocation was short-lived. 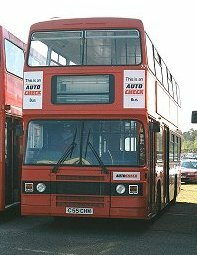 May and June 2004 saw the last appearances at South Croydon and Thornton Heath, leaving just the refurbished buses at Norwood to soldier on. 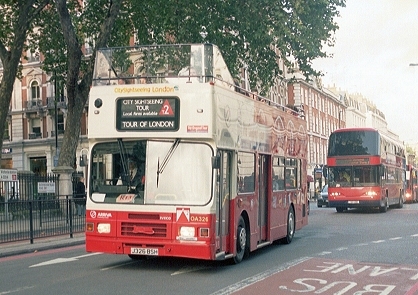 Route 2 gave way to low-floor buses, leaving a requirement for just eight on routes 432 and 249 in 2005. 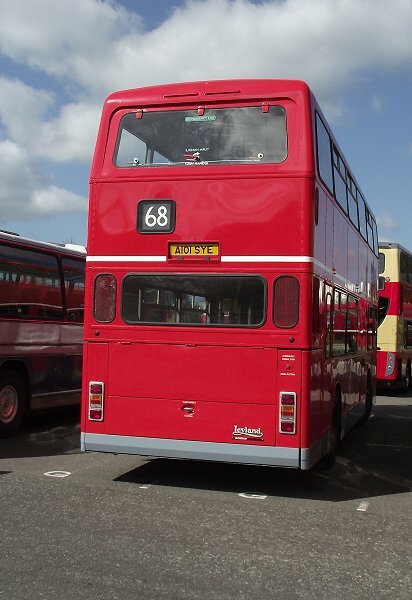 L162 received a repaint in 2005, losing its cow-horn and gaining a white roof! But in September 2005 the end came and the last was withdrawn. Arriva the Shires took some of London's Olympian cast-offs from 2003,to operate the 310 and 311 from Hertford to Waltham Cross. Most of them gained repaints to turquoise and cream, but tree damage soon brought the red showing at the edges. June 2005, Hertford: L38, L215 and L187 are supplying the 310/311 service. The successful tendering for the Bexley area services from January 1988 forwards saw Selkent establish a low cost unit at the precviously closed Bexleyheath garage (and a consequent closure of Sidcup garage and a reduction at Plumstead). The fleet was old Fleetlines - some bought back from Clydeside Scottish, Nationals, and twenty eight leased Olympians. These were obtained from an uncompleted order for Greater Manchester, and had Northern Counties single-doorway bodies to GMB specification. The three-track number blinds were amended to single-track set number blinds. They were finished in Eastbourne Corporation blue and cream livery, with Bexleybus logos, and numbered 1-28 in the Bexleybus fleet. They had to carry large BUS signs with LT bullseyes to convince the public that London fares and passes were valid. At first these were on boards on the radiator fronts, but this unsurprisingly led to overheating! Three (L265-7, alias 2-4) had coach seating and extra large Bexleybus fleetnames. But they were not enough to keep the unit afloat. Staff disaffection at the worsened pay and conditions (no canteen, lockers or rest room at Bexleyheath, for instance) led to shortages of staff from day one. Some routes were too-tightly timed for the route interworking to operate effectively. Public dissatisfaction led to more staff losses. The Fleetlines and Nationals proved unreliable. The single doorways of the Olympians were disliked. There were passenger protests, staff strikes over conditions. 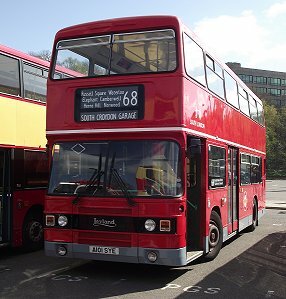 From September 1989 Titans were drafted in to replace the DMS Fleetlines, and although a few were repainted the rest came in London red. 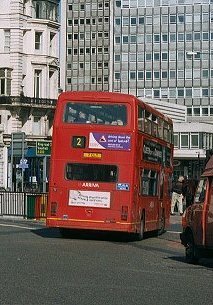 London Buses fleetnumbers also began to appear, on fronts and backs of buses, with the Bexleybus numbers on the sides. None of the Olympians was repainted red, but they did acquire their LT numbers. 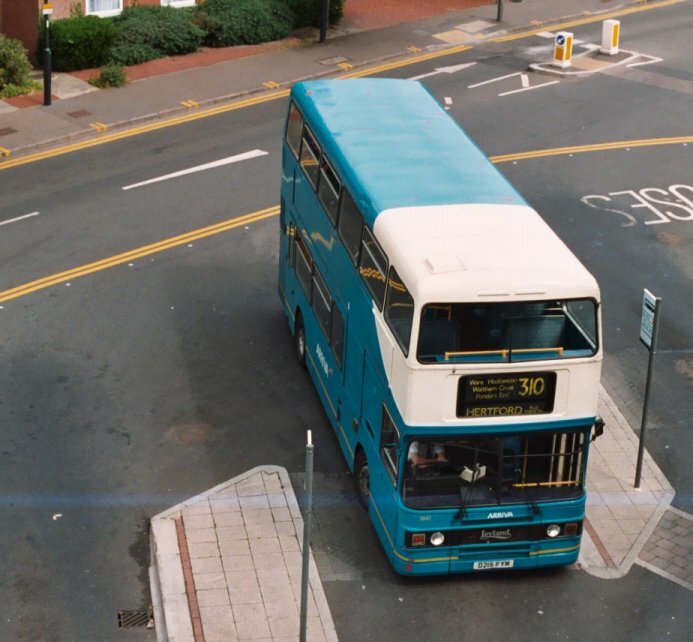 The Bexleybus unit imploded when the next tender round took away their business from January 1991. The core routes went to London Central, who took over the garage (and many of the staff) in November 1990. Other routes went to Boro'line Maidstone - who bought a batch of Northern Counties bodied Olympians for them. The Bexleybus Olympians went elsewhere: to Newcastle Busways (later to Stagecoach Hull), and Fareway on Merseyside. The three coach-seated Olympians (L265-7) went abroad as tourist coaches on the Isle of Sentosa, Singapore. 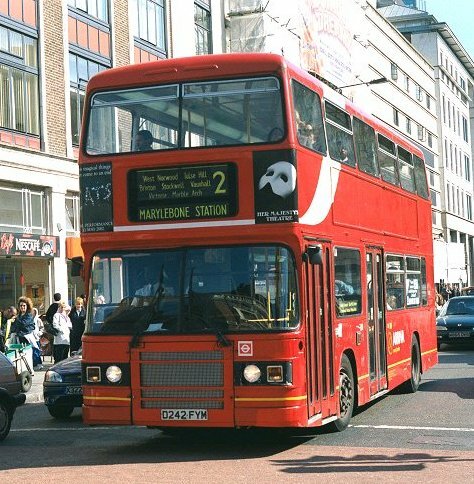 The London United District tendered for the 237 route and won it for operation from January 1990. So London United needed new buses in a hurry, and bought off-the-peg Olympians from Leyland. This batch were very different beasts from the earlier ECW-bodied batch, despite the overall family resemblance. In the power department they sported a Cummins L10 engine, with ZF transmission. Bodywise, they were not the craftsman-built ECW product, now a concept of the past, but a jig-built kit assembled by semi-skilled workers at Workington. So London foibles were out: any colour you like, providing it is just red, green or dark blue. No split-step doorway and folding doors. No London staircase. No London destination gear. Provision for spotlight mounting IS provided, even if not required. Hopper windows, not sliding vents. 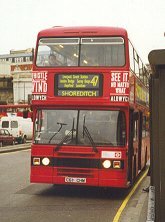 But they DID arrive, and acquired RiversideBus fleetnames for their dedicated service 237 (Sunbury Village-Shepherds Bush Green). The last three, L312-314, were once again equipped with coach seats. Presumably someone had Heathrow in their sights. The coach seating was put to use, abortively, in July 1991, when these three, adorned with Airbus transfers, began a service to Stansted Airport from Chiswick. But the A3 loaded too lightly, and the service was quickly withdrawn. The 237 route was split at the next tender round, and reconverted to Metrobuses. The RiversideBus Olympians moved on, with an airport again as terminus, to the 140 (Harrow - Heathrow Airport). But most of them were sold, five to Rossendale transport in August 1999, nine to East Yorkshire in September 1999, four to UK North in December 2001, and three to Sullivan Bus in July 2002. That left two, L303 and 308, which in December 2002 were repainted overall red with black skirts (to match the DAFs) and sent to Edgware as spare buses to the DAF fleet on the erstwhile BTS services, the 13, 114 and 292. They lasted until November 2003. The Leaside District bought a batch of forty Leyland Olympians in early 1992, with stylish bodywork by Alexander. Again four (L351-354) had coach seating. They went to Stamford Hill garage for the 253 (Hackney Central Stn - Aldgate), although they appeared on other routes as well. The whole batch were transferred to Clapton in May 1995 when Stamford Hill closed, and continued much as before. July 2002 saw some of them back at a re-opened Stamford Hill, still with the 253. 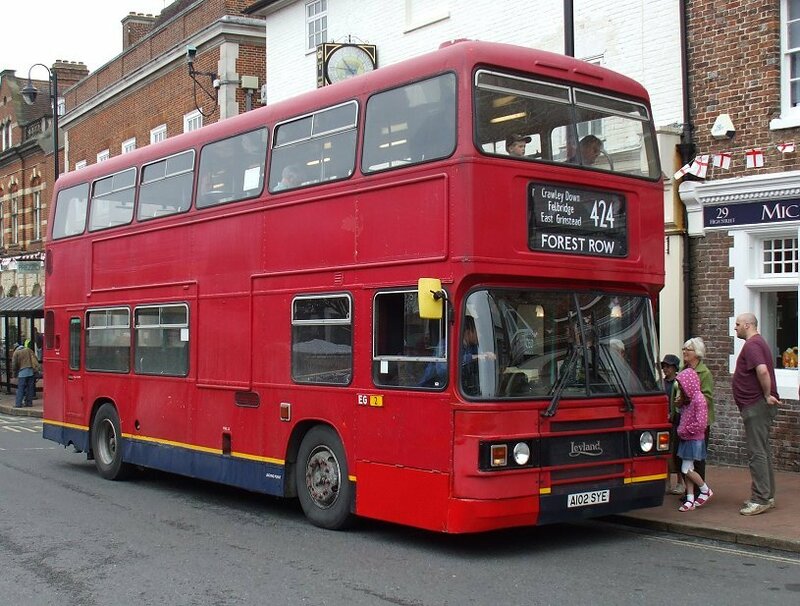 But late spring 2003 saw a new phase in their careers open up: the last four went to Leaside Travel at Edmonton, nine went to Barking for the 103, nine to The Original London Sightseeing Tour, for conversion to part-open top, while most of the others went into store. As step-entrance buses were phased out they gradually all accumulated at Arriva TOLST, some converted to open-top, some part-open-top, some convertible and others retained whole for rail duties. Life with TOLST: 326 is open-top on London Sightseeing, at Victoria in October 2005, while 352, a year later, is still in plain red with Edmonton garage plates, on rail replacement duties between Wimbledon and Subiton.